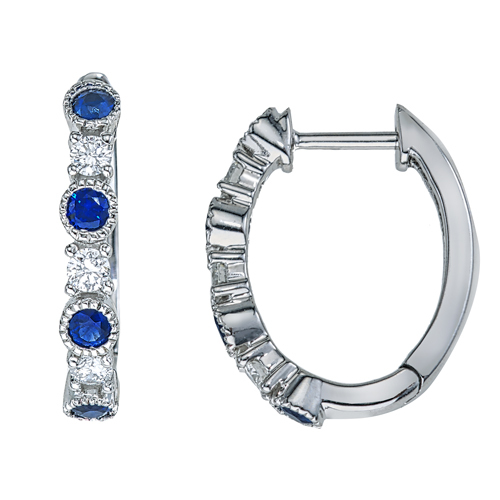 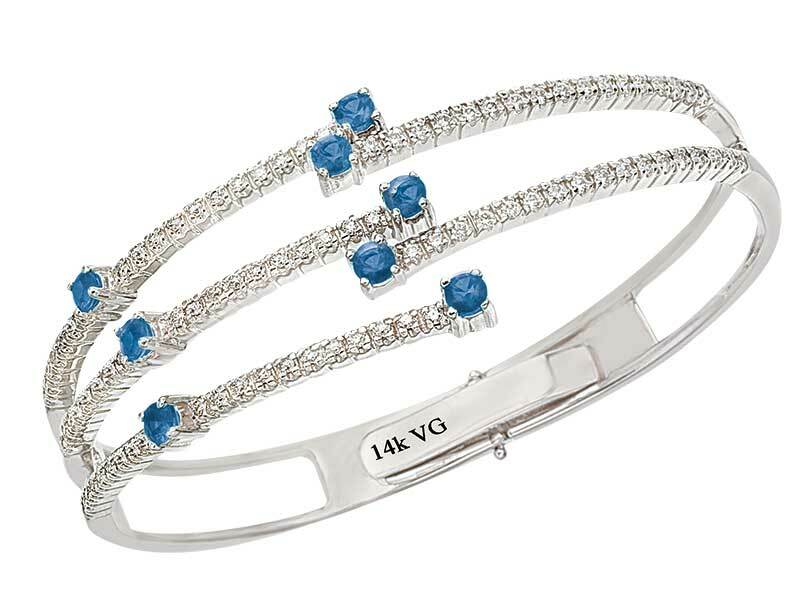 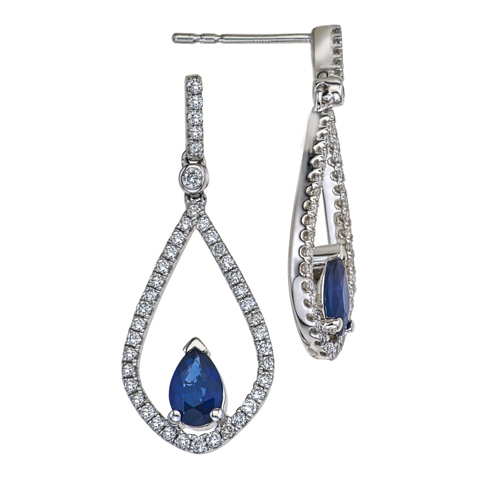 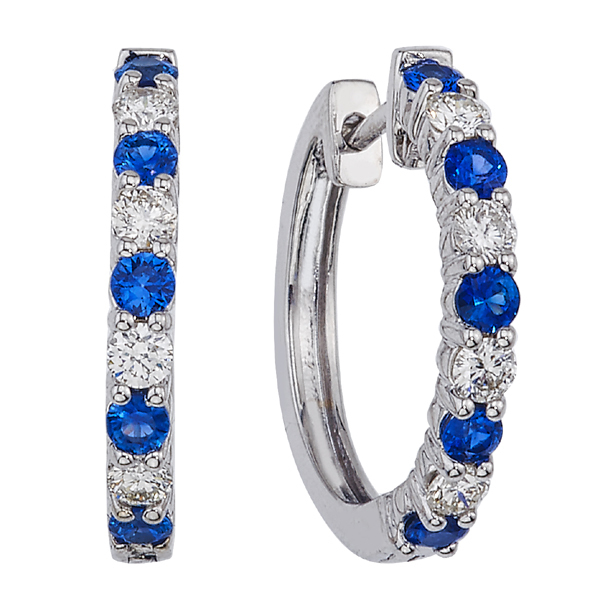 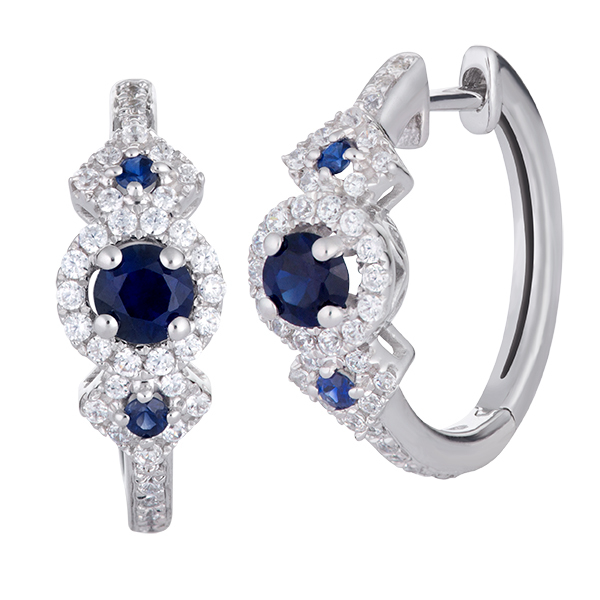 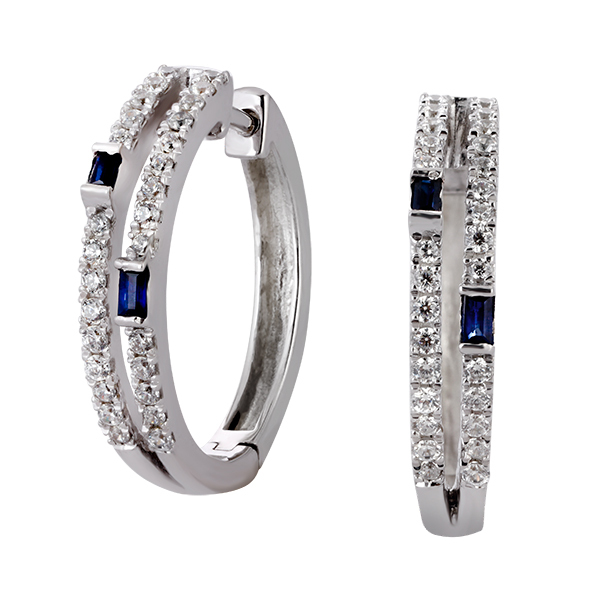 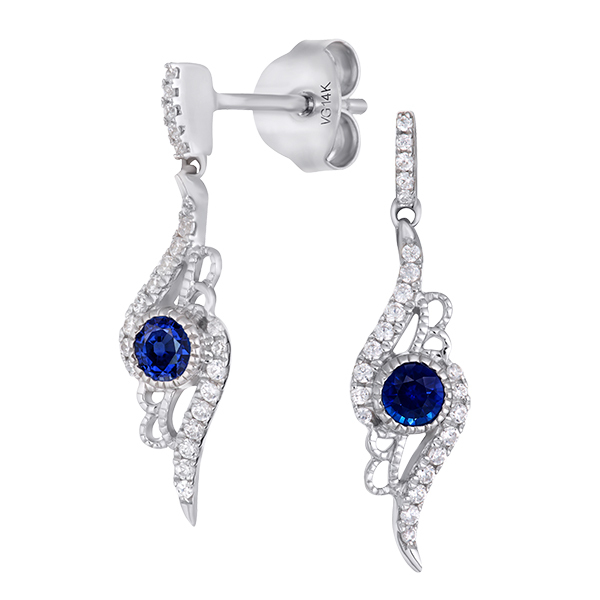 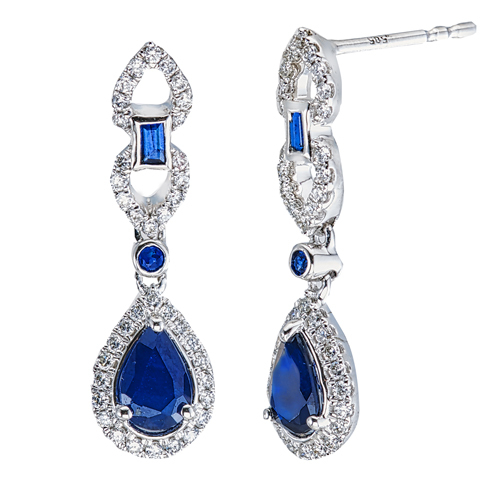 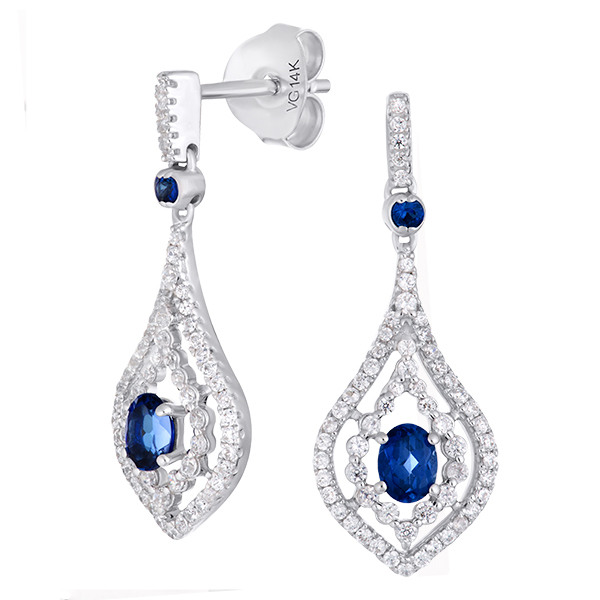 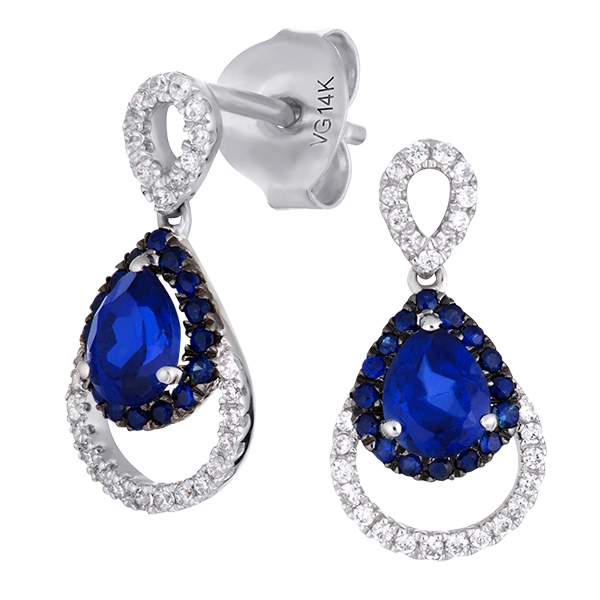 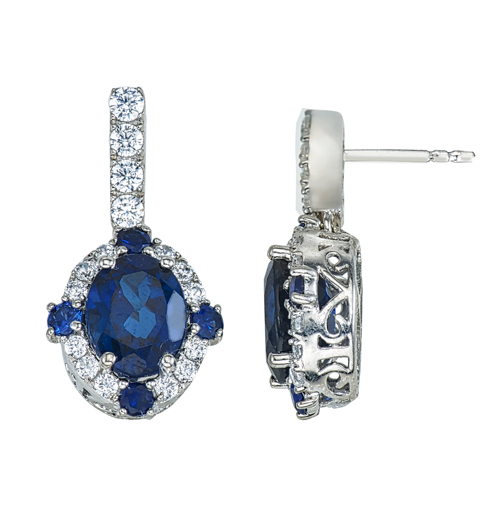 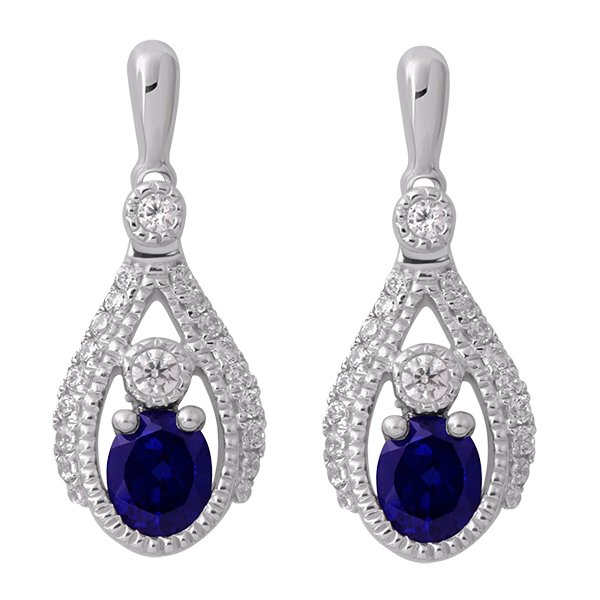 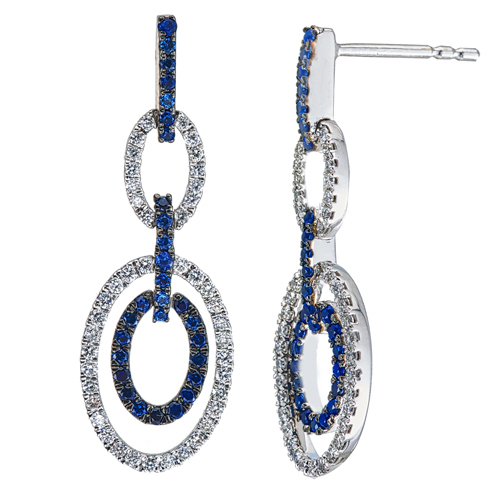 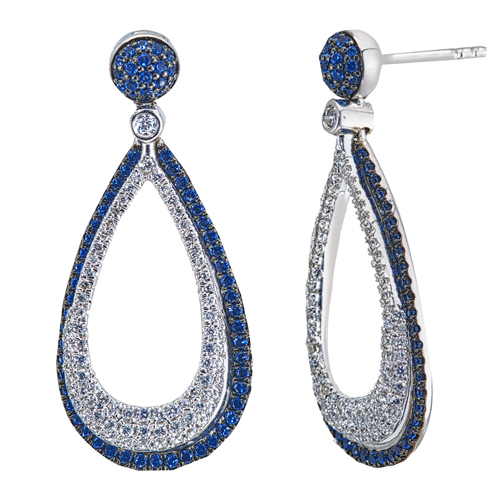 14K white gold diamond and sapphire earrings D-0.63ct & SAP-0.90ct. 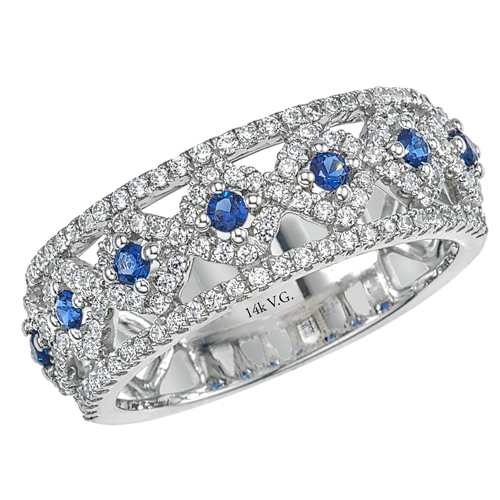 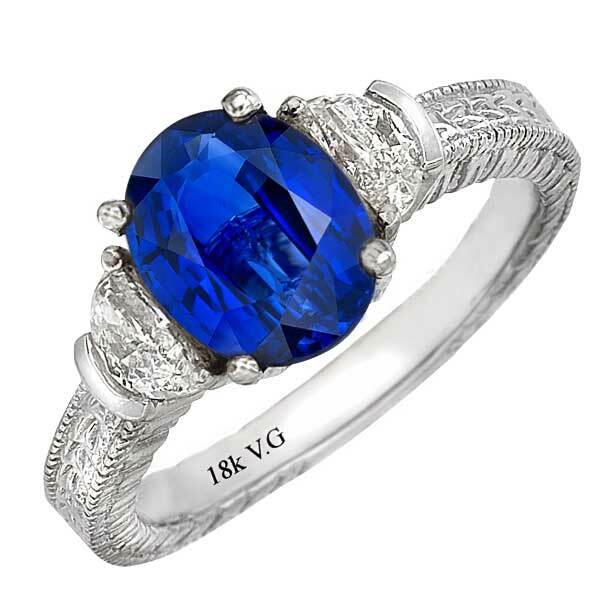 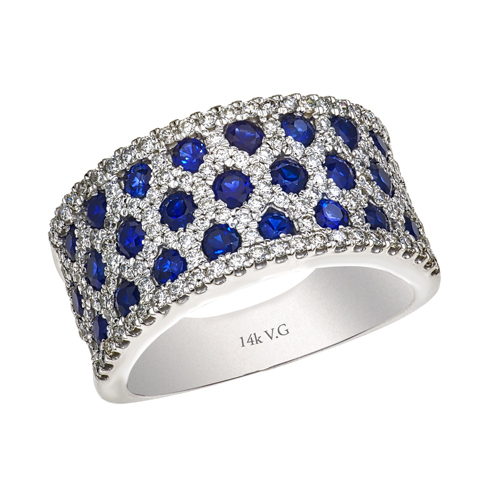 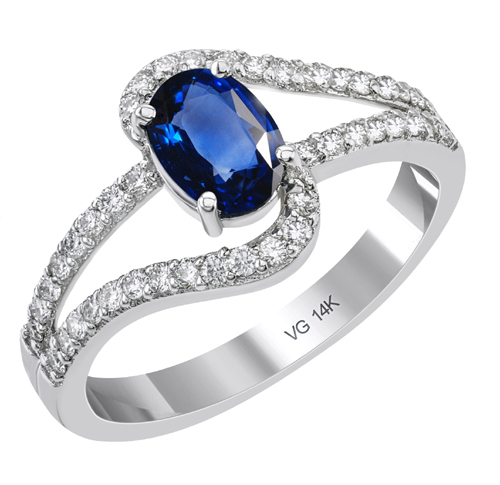 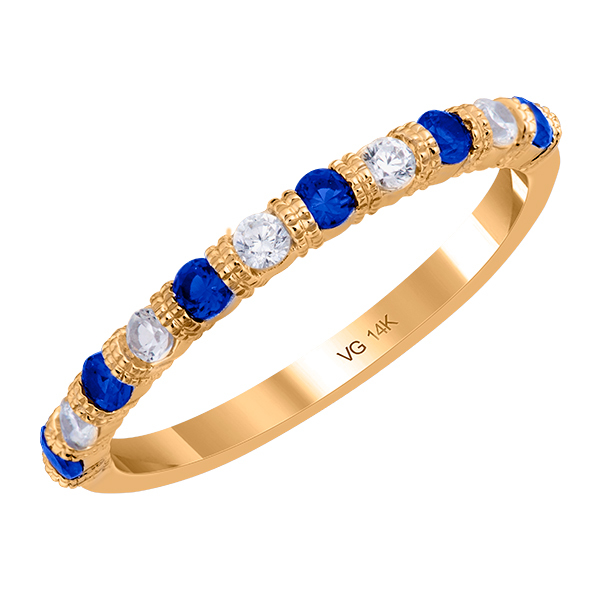 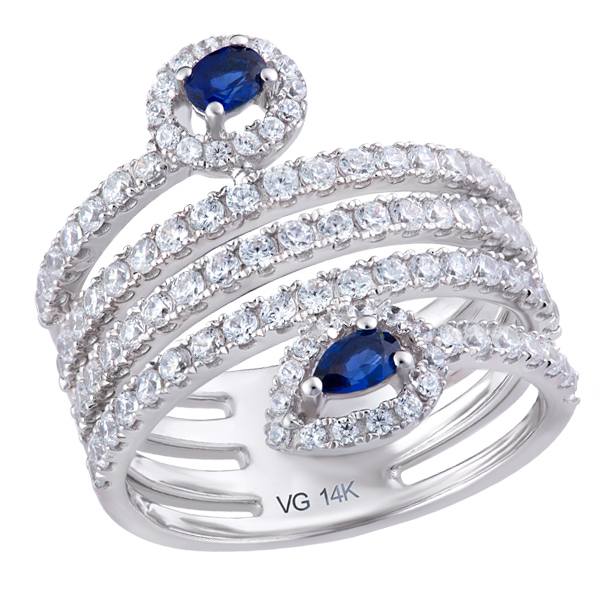 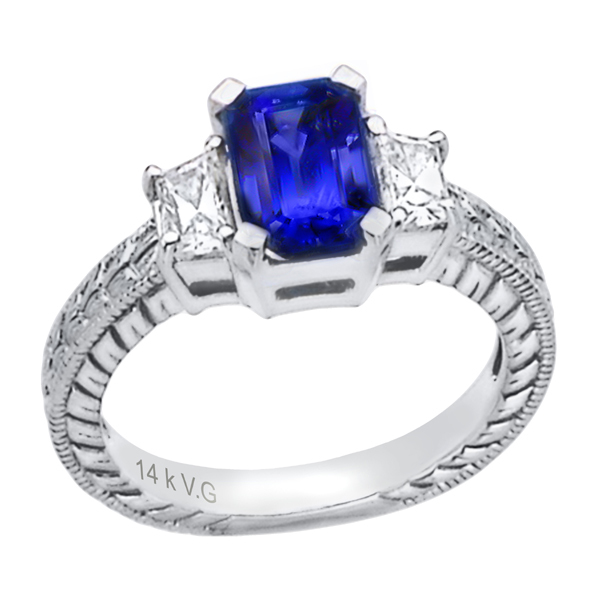 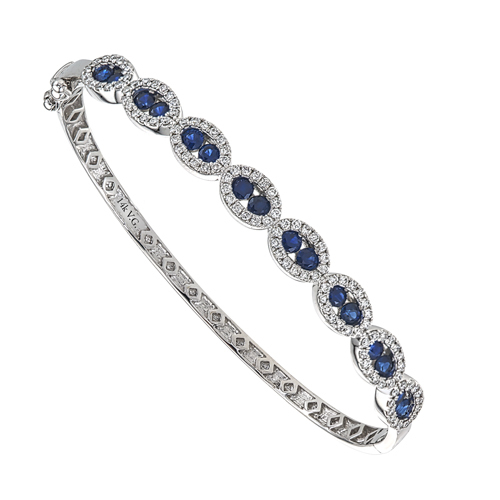 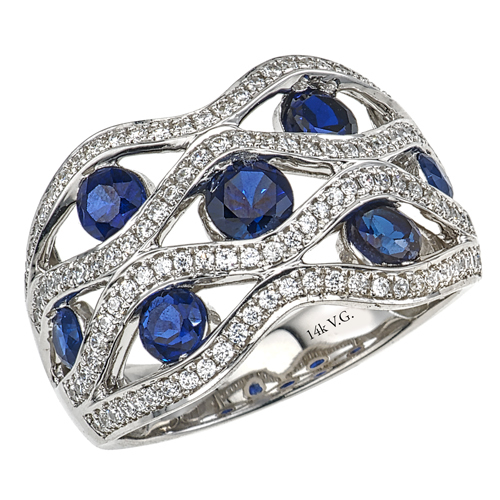 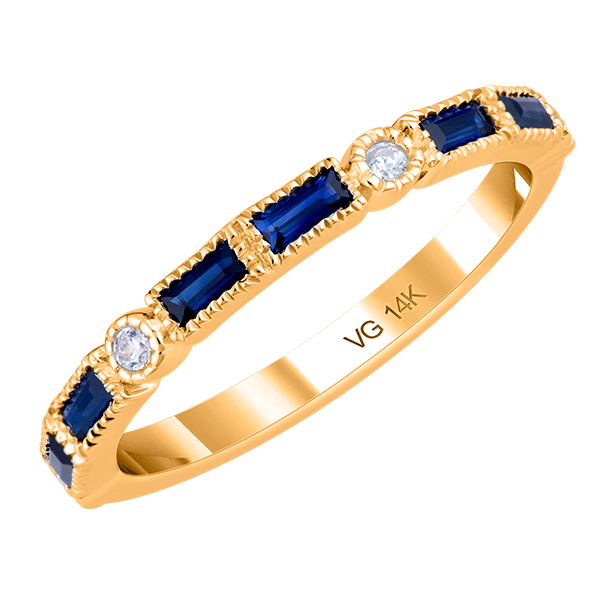 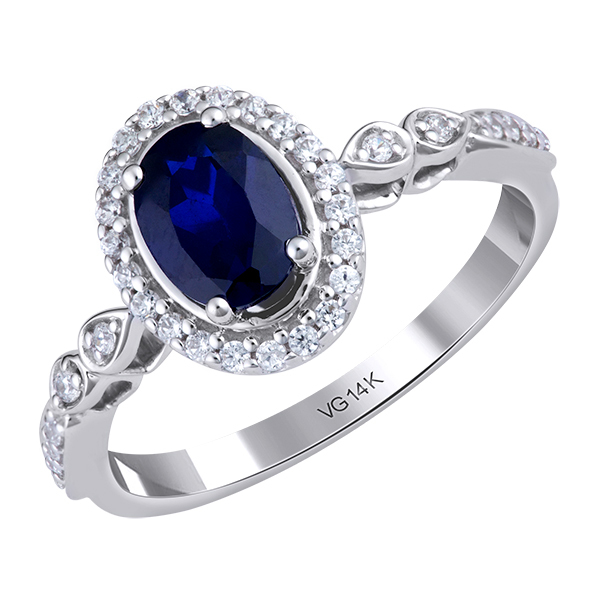 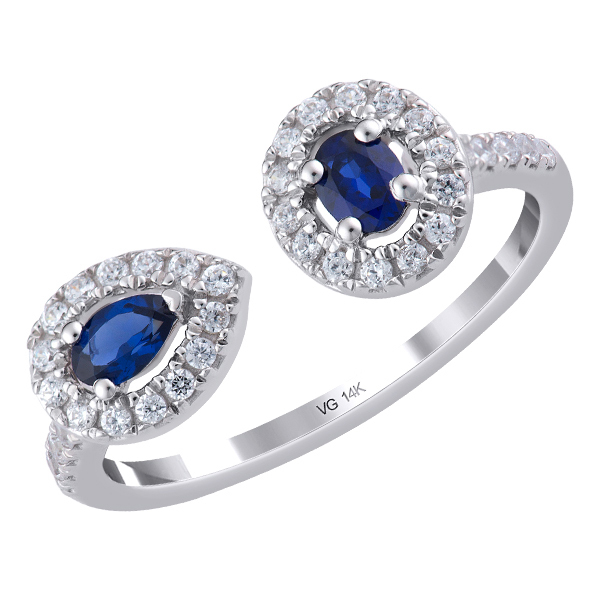 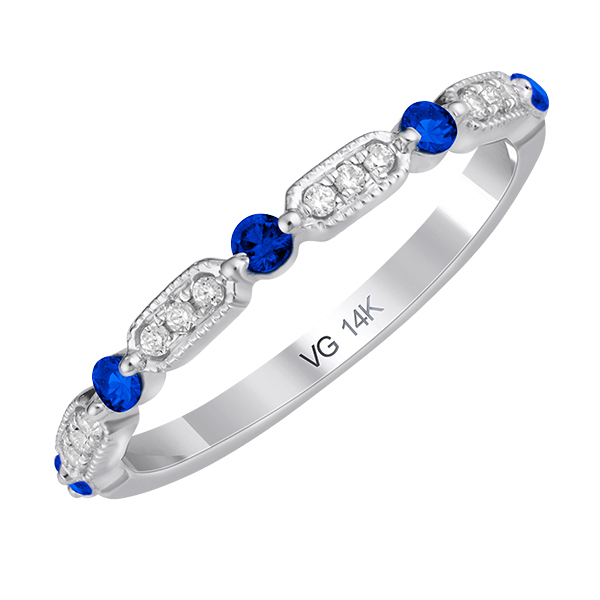 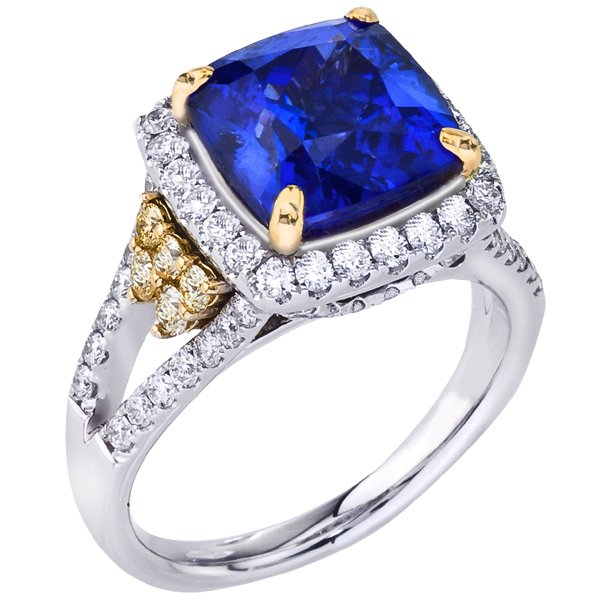 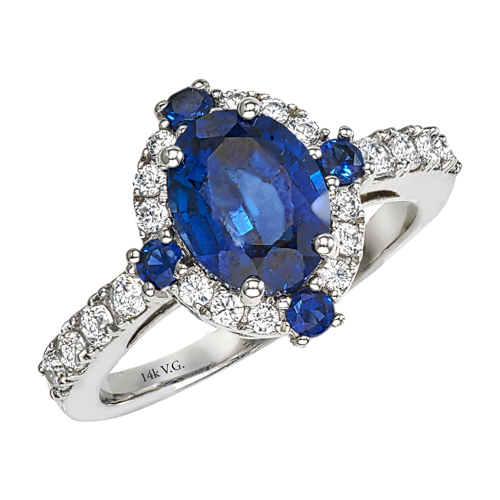 14K White gold Three-Stone Diamond and Sapphire Ring (H-I/VS, D-0.48ct, S-2.16ct). 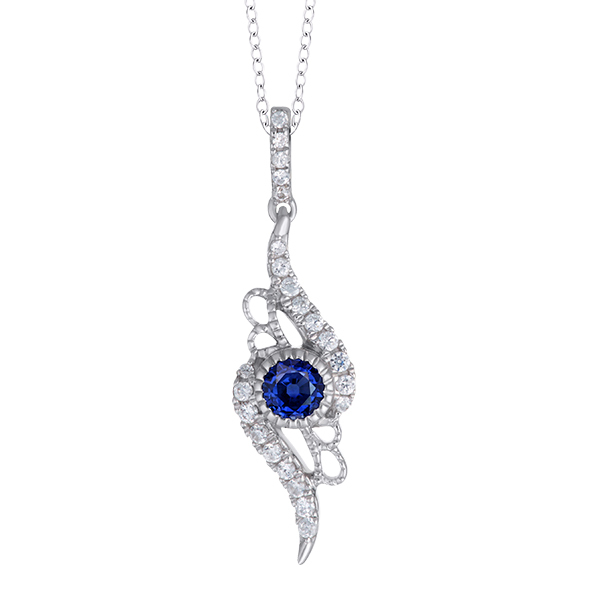 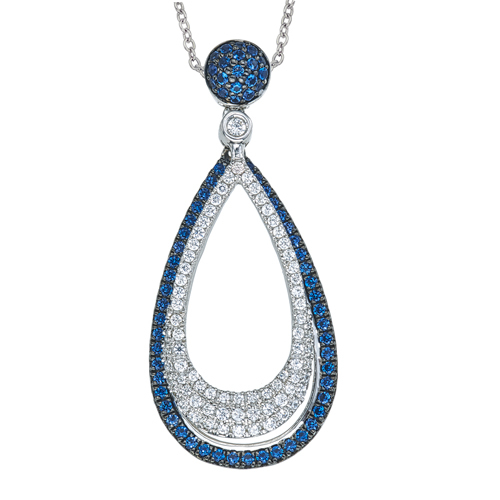 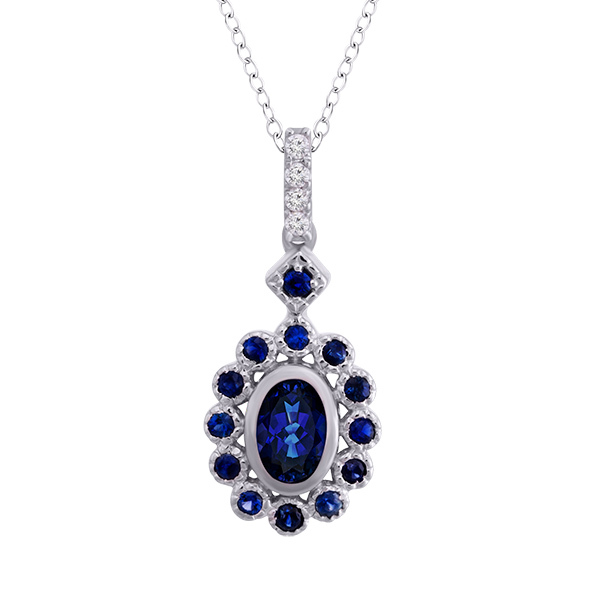 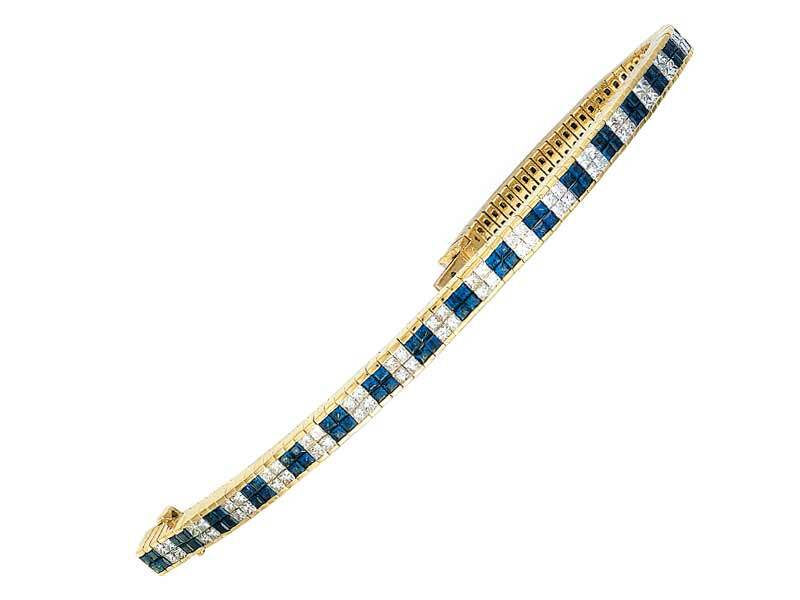 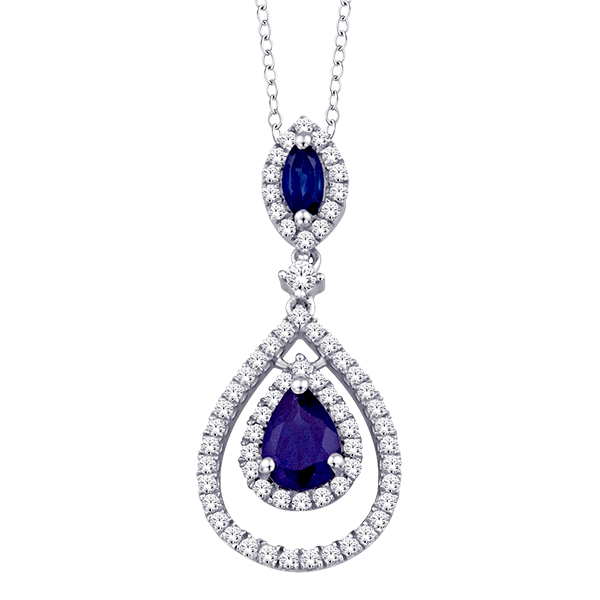 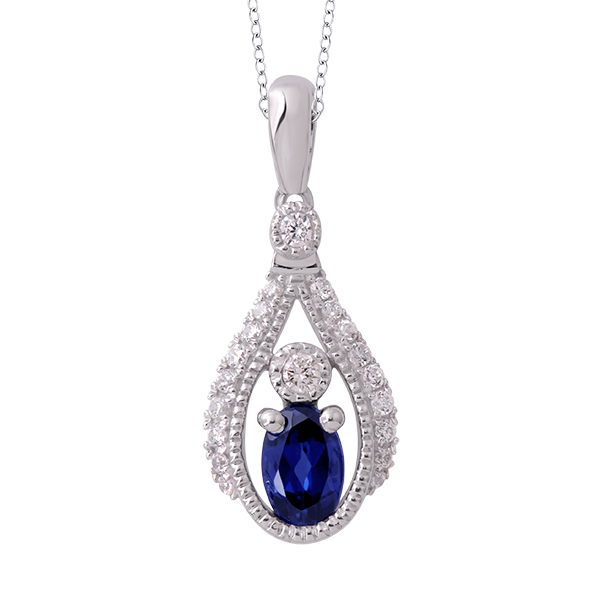 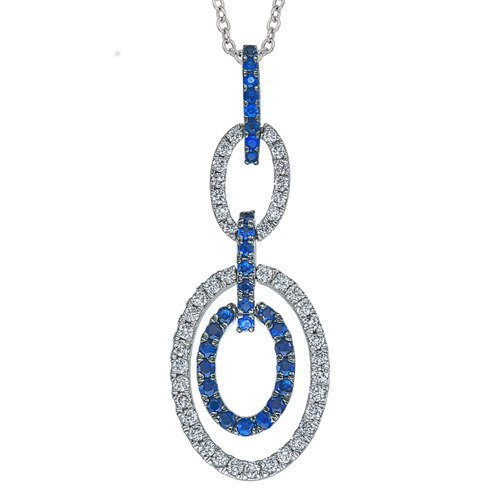 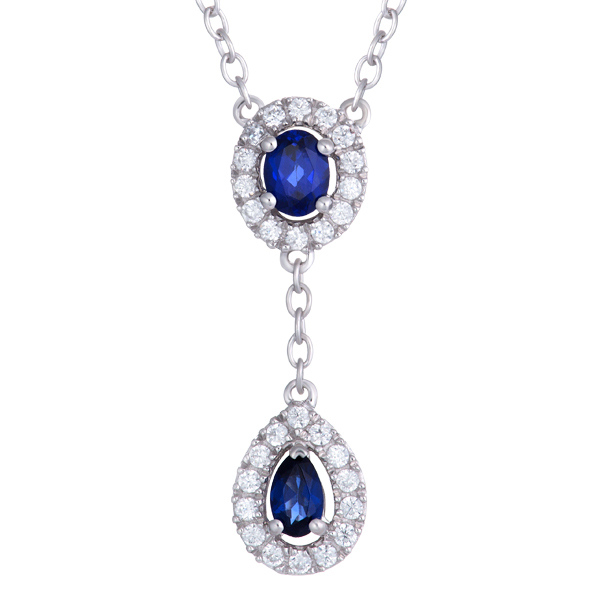 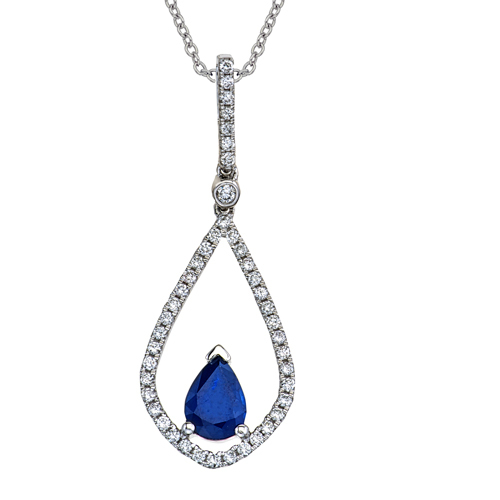 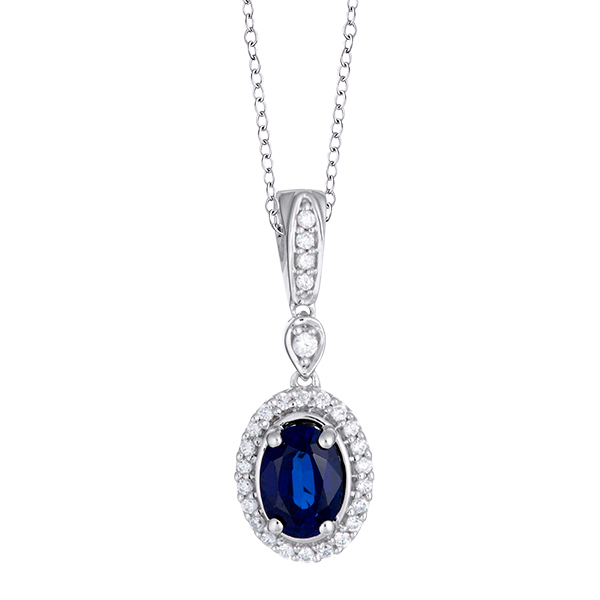 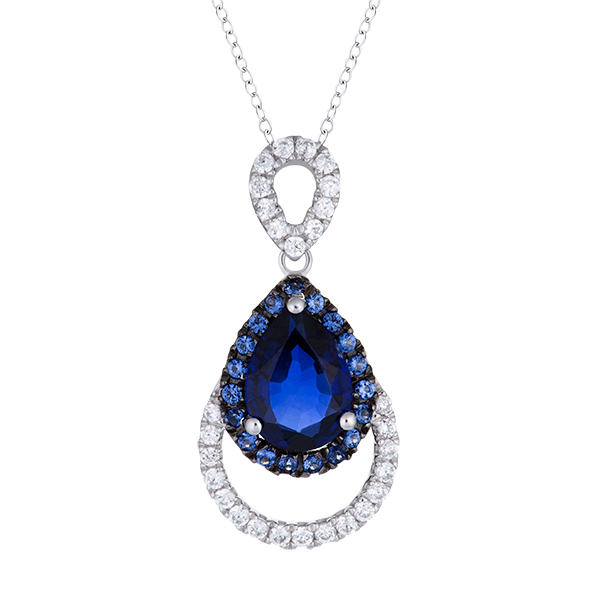 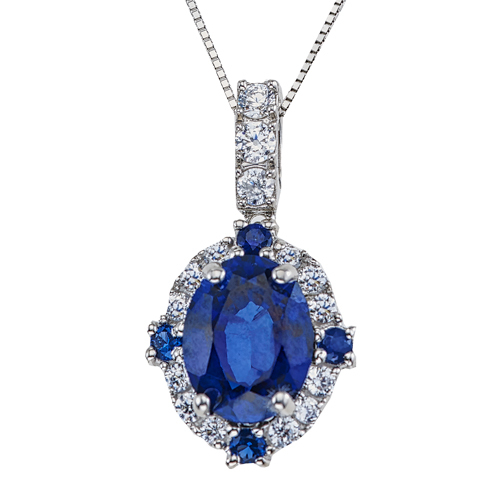 14K white gold diamond and sapphire pendant D: 0.45ct. 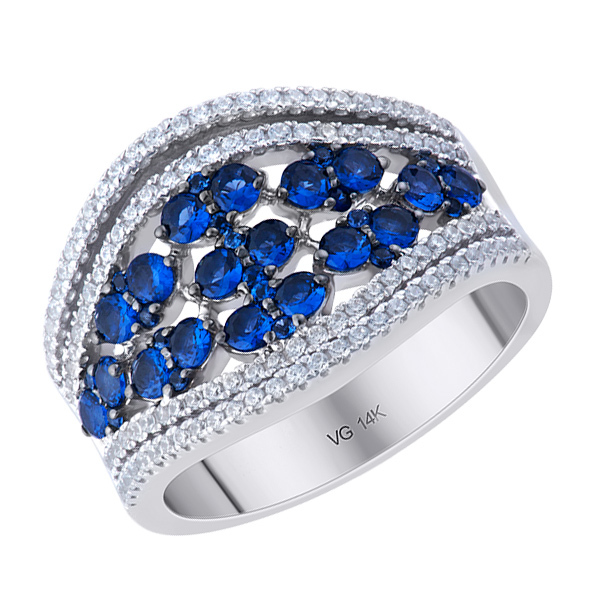 SAP: 0.77ct.